Max Poppel and Dan Rose became pals when they were students at Skidmore College in Upstate New York. The avid rock climbers bonded over bouldering. When a climbing competition took them to Chattanooga, they were instantly wowed. “The quality, quantity and proximity of the rock climbing to an actual city is really unrivaled,” says Poppel. “Stone Fort (aka Little Rock City) is only 25 minutes from downtown yet it’s an amazing bouldering area.” They found the vibrancy of Chattanooga to be as alluring as the rock climbing and each ended up moving there. They had stayed in hostels in the past and were attracted by the great qualities of hostel lodging like the affordability and welcoming communal nature. Poppel and Rose believed that the Chattanooga community and visitors, especially those coming for climbing and outdoor adventures, would embrace it. They were also aware of the potential cleanliness issues which they could address. Combining their innovative can-do spirit, business smarts, design savvy and a fierce commitment for minimizing their footprints, Poppel and Rose created The Crash Pad. The idea was to take the affordability and communal nature of a traditional hostel and marry that with the style, service and charm of a boutique hotel. The Crash Pad has an inviting living room and a communal kitchen providing all amenities for cooking (except food). Bread for the complimentary make-it-yourself breakfast is brought from Niedlov’s, a beloved local bakery. They also provide high-quality local Mayfly Coffee in addition to eggs, peanut butter, jelly, honey and Nutella. There are computers and free Wi-Fi. Almost all the furniture has some elements of the reclaimed heart pine used from the old house that was there. Their “super bunks” are design marvels. Each bed has privacy curtains, a fan, extra-long pillow-top twin mattresses, reading lights, some extra outlets, a locker — all for $35 per night. Or people can opt for a private room. Much of the interiors were made by local craftspeople. Matt Sears of Haskel Sears Design built almost all the furniture. Counters and sinks were made by Set in Stone. From there, they were inspired to debut the Flying Squirrel Bar, their sister bar and restaurant next door. It quickly became a local favorite. 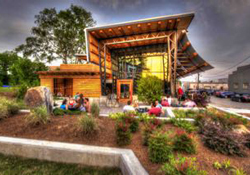 The Flying Squirrel was voted one of the best-designed cafes and bars in the United States by a chapter of the American Institute of Architects. The building with giant exposed metal trusses, glass and sky-high ceilings is a piece of art. Local metalworkers created the signage and bike rack. A nearby glassblower, Ignis Glass Studio made glass sconces. Plus, with a seasonal and classic cocktail list, a rotating assortment of great craft beers and dishes like garlic fries and duck confit tacos, the Flying Squirrel is a total crowd pleaser. 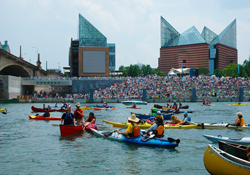 In fact, Chattanooga has many crowd pleasers. Here are just a few. A nominee for the James Beard Best Chef Southeast award in 2016, Chef Erik Niel’s Easy Bistro is culinary gem with a vast wine list to match. Some standouts are slow-braised beef brisket, crispy duck with ramps and house-marinated olives. The decor is equally delicious. Located in the world’s first Coca-Cola bottling plant, the soaring ceilings, giant framed mirrors and giant windows add to the allure. The Chattanooga Choo Choo. 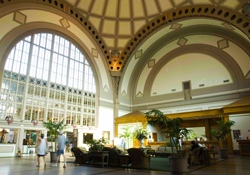 Once the railroad terminal for the Southern Railway, the station has been beautifully restored as the Chattanooga Choo Choo Historic Hotel with restaurants like Stir, clubs including Revelry Room and Track 29, a comedy club, the Comedy Catch, gardens and even actual pullman train cars that double as hotel suites. When the band Sister Hazel played at the Revelry Room last November, they stayed in the train car hotel rooms which harken to an earlier time but also feature queen-size beds, modern baths, high-speed wifi and flat-screen TVs. 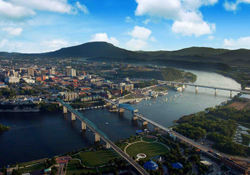 The Chattanoogan Hotel in the booming Southside district is within walking distance from downtown. But its indoor pool, outdoor patio, day spa sauna, whirlpool and fire pit make it a good spot to chill. Plus, there’s live jazz on the weekends at the hotel lounge The Foundry and a a huge see-through fireplace in the lobby. Sunday brunch at Broad Street Grille is a Chattanooga staple. The hotel and its restaurants try to support local farmers whenever possible. Even the hotel’s limestone is from local quarries. Check out the Tennessee Aquarium on the banks of the Tennessee River and discover otters, alligators, prehistoric-looking sturgeon, electric eel, sharks, stingrays, penguins, a butterfly garden, an IMAX 3D movie theater and much more. Immerse yourself even deeper with a Backstage Pass Tour to visit a baby animal nursery and explore the Keepers Only area. Six miles from downtown is Rock City Gardens. The attraction perched atop Lookout Mountain opened in 1932 and offers panoramic views of seven states. Meander through pathways of massive ancient rock formations and gardens with hundreds of native plant species. The Lookout Mountain Incline Railway is said to be one of the steepest passenger railways in the world. With a 72.7 percent grade, it offers spectacular sweeping valley views. Deep within the caverns of Lookout Mountain is Ruby Falls. Home to America’s deepest commercial cave and tallest underground waterfall, the 145-foot waterfall is located 1,120 feet beneath the surface. For adventure junkies, there’s also a 40-foot Zipstream Aerial Adventure course through the treetops. Known as Chattanooga’s first full-time comedy club, The Comedy Catch opened in 1985. 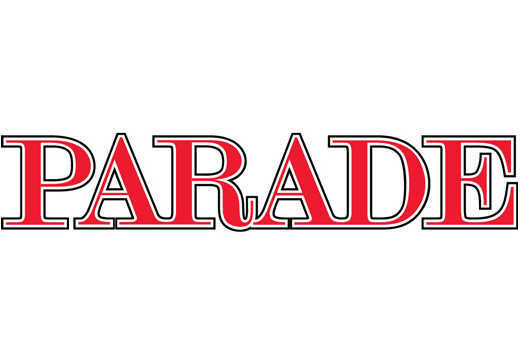 Since then it has grown and hosted comic greats like Jerry Seinfeld, Jeff Foxworthy, Paula Poundstone, Tracy Morgan and many more. The club has also helped establish local talent. Now called the Comedy Catch and Giggles Grill, the club is in The Historic Chattanooga Choo Choo Hotel complex. In addition to wine and cocktails, dishes range from burgers and nachos to bourbon barbecue meatballs. 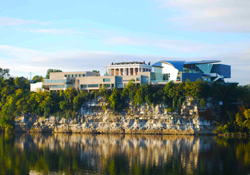 One of the most picturesque and charming areas in the city is the Bluff View Art District, which lies high above the Tennessee River and features a variety of eateries, turn-of-the-century homes, galleries, museums, a sculpture garden and a bed and breakfast. The river views are sumptuous. So are the breads from Bluff View Bakery, one of few remaining artisan bakeries in the city. The bakery furnishes all of the bread for Bluff View Art District’s eateries. Locals love Rembrandt’s Coffee House for decadent desserts, cakes, sandwiches and salads. The Bluff View Art District eateries are incubators of innovation as they make homemade pasta, chocolates, bread and pastries and even roast their own coffee. The Hunter Museum of American Art contains several buildings, including a 1905 Classical Revival mansion. Their collection spans the history of American art from the colonial period to the present day. A quick stroll away is the Houston Museum of Decorative Arts, which is set in a beautifully restored Victorian house and contains a stellar collection of antique glass, ceramics, antique furniture and music boxes. Learn about the eccentric and delightful owner of the vast collection, Anna Safley Houston. Grab a brioche, cookie, scone or all three from Niedlov’s Breadworks. The eatery not only makes some of the city’s best artisan breads, they also serve knockout soups, salads and sandwiches like the kale salad with toasted walnuts and buttermilk dressing or the Club Niedlov with turkey, ham, applewood bacon, olive tapenade and Swiss cheese on stone-ground whole wheat bread. Main Street Meats is not only Chattanooga’s neighborhood butcher, they also have a top-notch restaurant serving dishes like smoked wagyu brisket and chicken and dumplings. They work with local farms that are committed to animal quality and care. An absolute must is a stroll, bike ride or snooze on the Walnut Street Bridge. At 2,370 feet, it’s often called the oldest surviving truss bridge of its size in the South. And now this treasure is one of longest pedestrian walkway bridges in the world. The bridge connects downtown Chattanooga with the vibrant historic North Shore District. Built in 1891, this bridge was the only way to cross the river for nearly three decades. Now it’s the go-to spot for watching fireworks during festivals and events, including the annual Wine Over Water wine festival. Once on the North Shore, build in a stop for homemade gelato at Milk & Honey. There are burger joints and then there’s Urban Stack, an upscale burger and bourbon bar set in the Southern Railway Baggage Building, which dates to 1867. Get ready for fun burger combinations like the Fried Green Tomato with sharp yellow cheddar, lettuce, white vinegar mayo, remoulade and Benton’s bacon. The North Carolina Chili Cheeseburger contains 3 Little Piggies chili, cheddar cheese, slaw, mustard, chopped dill pickle and onion. Other Chattanooga standouts include the DeBarge Winery, Chattanooga’s first urban winery which offers $5 wine tastings. Warehouse Row is a collection of buildings built in the early 1900s on the site of a Civil War fort that have been restored and transformed into a center for high-end boutiques and restaurants. Also, from May thought August, check out the free weekly Nightfall music series every Friday night at Miller Plaza. For $9, ($3 for kids) catch a Chattanooga Lookouts baseball game. The Minor League team is the farm team for the Minnesota Twins. Explore the riverfront via boat (like the River Gorge Explorer or Southern Belle) or hop on a bike. Bike Chattanooga, the city’s bike share program makes it simple to meander along the 13-mile Riverwalk. 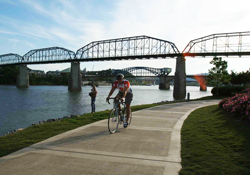 The paved path starts downtown and winds along the bucolic Riverfront to the Chickamauga Dam.